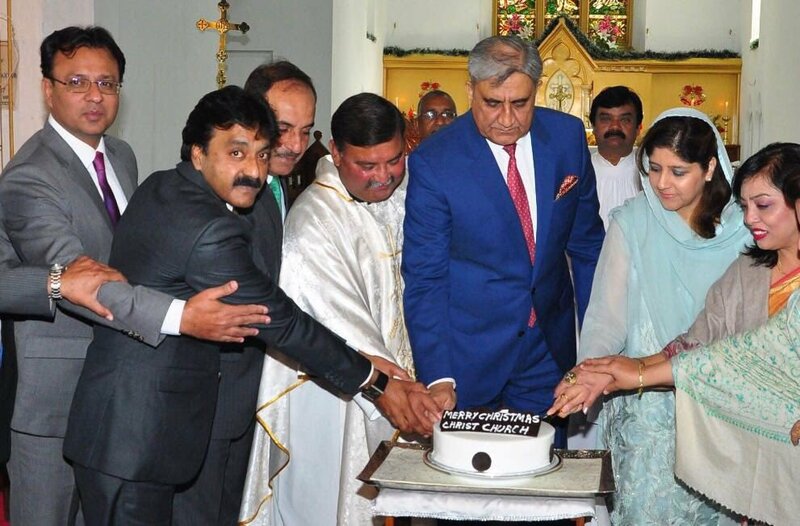 RAWALPINDI: Chief of Army Staff, General Qamar Javed Bajwa joined Christian community at Christ Church, Rawalpindi to take part in Christmas celebrations. According to Inter Services Public Relations, the congregation welcomed the Army Chief and thanked him for sharing the festivity. General Bajwa wished Merry Christmas to entire community in Pakistan. He acknowledged role of Christian brethren not only towards creation of Pakistan but also for their contributions towards its progress. He appreciated role of various institutions in the field of education, health and public welfare being managed by Christian community across Pakistan. The Army Chief specially acknowledged their contributions in defence of motherland as part of Pakistan Armed Forces. Commander Rawalpindi Corps was also present.